Discussion in 'Femmes' started by papa_levante, Jun 1, 2009. Not the easy-looking classic beauty but there is still something classic, timeless and obviously classy about Olivia. She's not a girl for every agency, she's the one for selective eyes. She's the epitome of beauty going out of the beaten tracks and we're always pleased to have opportunities to challenge the aesthetic boundaries. 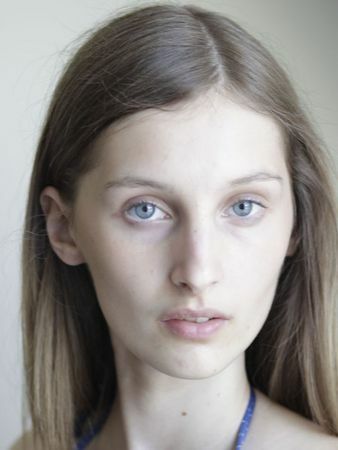 So, Olivia is one of the new faces at SPP Models in Wroclaw, Poland and apart from her unique face, she's got regular model measurements: 177 83-60-91 (5'9"5). That slightly melancholic gaze from her blue eyes makes us dig this delicate look even more.